The era of fossil fuels is nearing its end. With the global drive towards reducing pollution, countries are striving to lower their emissions of greenhouse gases. The most harmful, carbon dioxide, comes mainly from the burning of these non-renewable fuels. Renewable energies such as wind, solar or geothermal, based on inexhaustible and clean natural sources, are the great hope in the transition of our sources of energy, but today they are insufficient to meet all our needs. Therefore, researchers are proposing innovative solutions, capable of generating electricity or biofuels from discarded food, water vapour and even tears. Besides being a staple food for millions of people, potatoes have another quality: they can serve as a battery in places with difficult access to electricity. Israeli researcher Haim Rabinowitch and his team were surprised at the beginning of their experiments. The potato conducts electricity between two metals, allowing the electron stream to move through the wire to create electricity. According to the Israeli research, a small slice placed between a copper cathode and a zinc anode connected with a cable could illuminate rooms with LED devices for 40 days, as reported by the Smithsonian magazine. Among the advantages of the tuber, Rabinowitch stresses the fact that it is grown in 120 countries and has a low cost. “The potato or other similarly treated plant tissues could provide an immediate, environmental friendly, and inexpensive solution to many of the low power energy needs in areas of the world lacking access to electrical infrastructure,” claim the authors of the study. Approximately 50% of the solar energy absorbed by the Earth’s surface stimulates evaporation, a natural process that affects ecosystems, water resources and climate. Scientists have spent years studying how to convert this energy into a useful energy resource. In a study published in the journal Nature Communications, a team of researchers from the United States asserts that the natural evaporation of open water surfaces could provide energy densities comparable to current wind and solar technologies. “We estimate up to 325 GW of power is potentially available in the United States,” the authors calculate. In the model they have designed, scientists envisage a motor placed on the surface of the water that would take advantage of the energy from evaporation through a cycle of stages, absorbing the vapour and releasing the water. Unlike wind or solar energy, researchers posit that the power of evaporation be stored so that it can be used at times of higher demand. 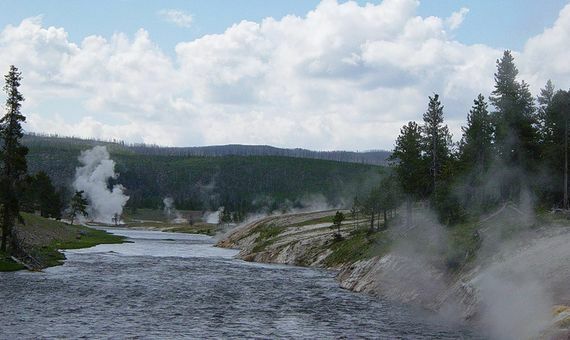 Water vapor from places like Yellowstone National Park (USA) is an innovative source of renewable energy. Credit: Daniel Mayer. Used cooking oil is deposited in collection depots for recycling. Among its applications, the lubricant can be used to make biodiesel, which can replace petroleum derivatives and contaminate much less. The difficult thing is to obtain a pure fluid that complies with the EU regulations. Scientists at the Complutense University of Madrid have calculated what the threshold purity limit is: the acidity of the frying oil should not exceed 2%. The scientists have found that the more times the oil is used to cook, the worse its quality, which influences the purity of the biofuel. 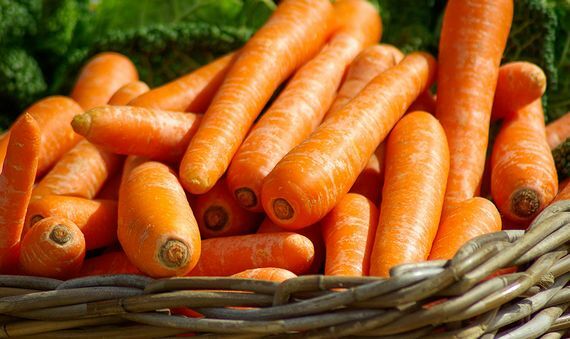 Other waste, in this case from carrots, has also proven to be useful for ‘green’ fuels such as bioethanol, a compound obtained from the fermentation of sugars. Spanish and Argentine researchers used discarded carrots, which did not meet the standards for sale, to generate the biofuel. When the wort is prepared, the carrot is chopped and subjected to an enzymatic hydrolysis process. Next, the alcoholic fermentation takes place, in which the yeasts transform the sugar of the wort into ethanol and carbon dioxide. The last step is to purify the ethanol by distillation. The process of reuse envisages that the resulting pulp will serve as food for animals, the carotenes will have value for the pharmaceutical and food industry, and the fibres will be used for human consumption. Tears could bring us more joy than sorrow. A team of researchers led by the University of Limerick (Ireland) has studied their potential to generate electricity. The key is to apply pressure on a protein, lysozyme, which is found in tears and also in egg whites, saliva or milk from mammals. 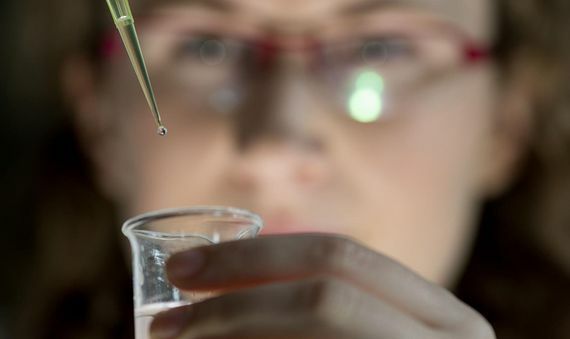 Aimee Stapleton, researcher at the University of Limerick, is part of the team that have studied the potential of tears to produce electricity. Credit: Sean Curtin, True Media. The ability to generate electricity through pressure is not new. It is called direct piezoelectricity and materials such as quartz have it, which can convert mechanical energy into electrical and vice versa. In fact, these materials are already used in mobile telephony, ocean sonars and ultrasound images. But, according to scientists, the finding that the crystals of lysozyme present in tears generate this type of electricity can have applications in the area of ​​energy and flexible electronics for biomedical devices. That includes the release of drugs into the body with the help of a pump driven by this biocompatible protein.